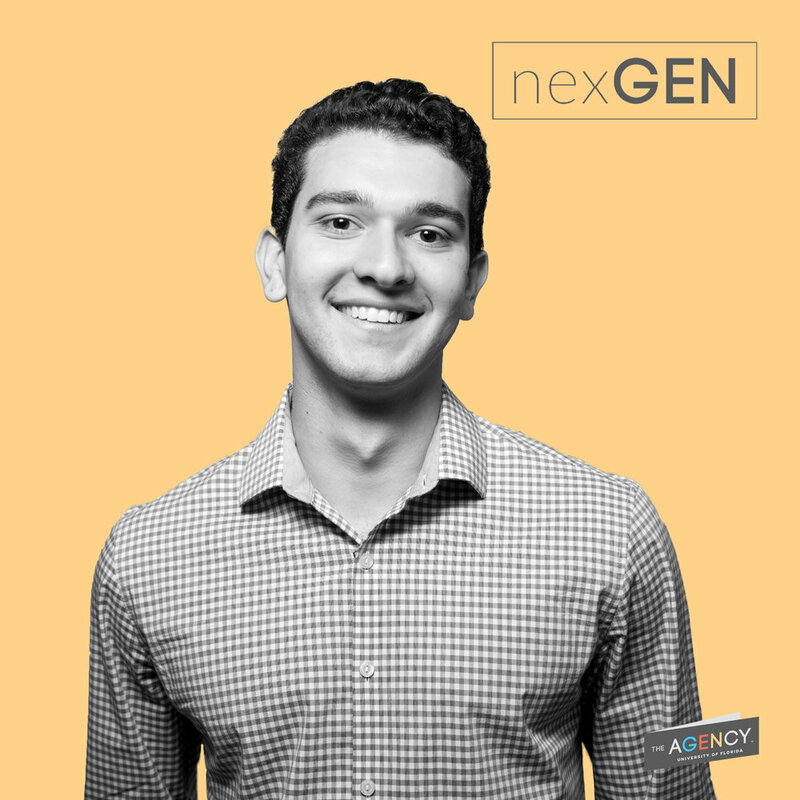 In Fall 2016, I started working at The Agency at UF - and that's where I found nexGEN, an office filled with creativity, belly-aching laughter, and a shared love for the tech space. I made it my mission to take nexGEN to the next level by increasing exposure on campus. 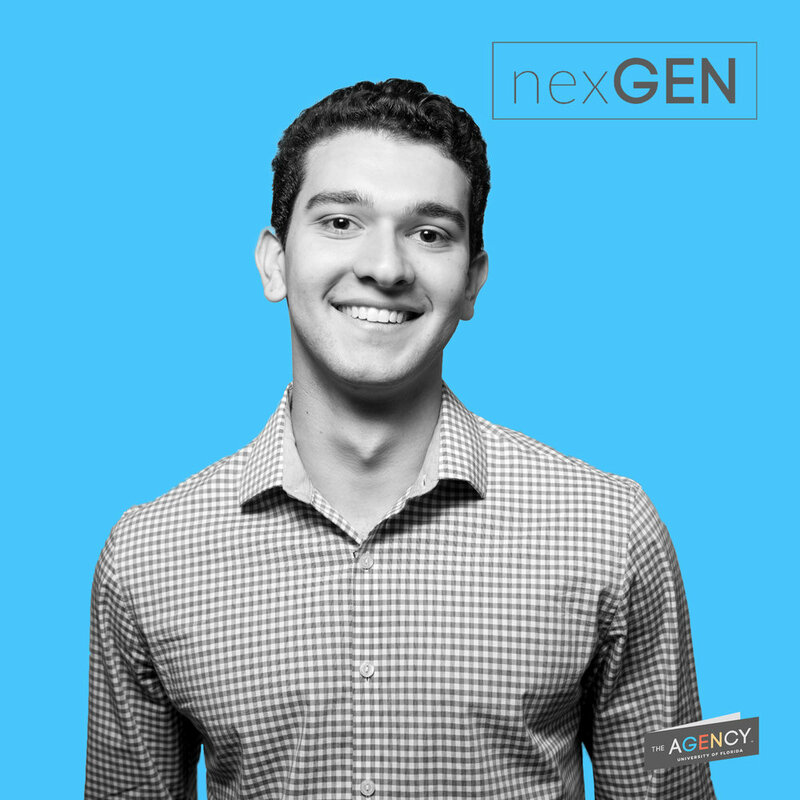 To accomplish that, I helped create an internship program to tackle low retention rates, form a relationship with the computer science community by sponsoring UF's hackathon (Swamphacks), create a brand guide for nexGEN, and lend structure and scheduling to the organization. One of my favorite projects in nexGEN was our recent recruitment campaign in March 2017. I wanted to step outside of my comfort zone and do something different for recruitment. First, I coordinated a photo shoot with members of nexGEN using my external lighting equipment. I then edited the photos using Adobe Photoshop and Adobe Lightroom and meticulously cut each person out of the background so I could paste them onto other colors with ease. I produced four individual photos for each person, using the nexGEN colors of white, blue, red and yellow. Straying away from the typical headshots or profile photos, I watched multiple tutorials on how to make GIFs using Adobe Photoshop and Adobe After Effects. The final products were used as Profile Videos on Facebook for our recruitment campaign and shared as team spotlights on the nexGEN Facebook page.